Are you currently hosting an IBM i (AS/400, iSeries, Power i)* application onsite? Have you heard you can now host your iSeries applications in the cloud? A key benefit of the cloud is the flexibility to add capacity as needed over time, enabling you to configure a solution with the proper amount of processing power (CPW), memory, and disk storage needed to process your workload. Cloud hosting utilizes the same IBM Power System server used when hosting on-site. It is designed to provide the highest levels of reliability, up-time, flexibility and performance. 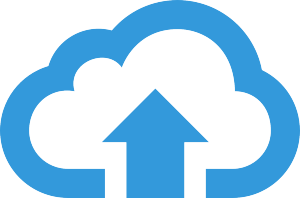 With IBM i cloud hosting, you would have a designated partition on the cloud server that only you have access to, via a permanent secure connection (known as a site to site VPN) between your facility and the cloud. Remote users, such as salespeople in the field, would have the capability to access the cloud directly as well. Making a decision to migrate your IBM i processing to the cloud requires careful consideration. We can evaluate your needs and help with configuration of the best cloud setup to meet your business needs. If you are currently using a local hosting model and are considering migrating to iSeries cloud hosting, our highly skilled technical staff can also provide the professional services needed to successfully migrate you to the cloud. We work with customers large and small that have decided it’s time to move their application to the cloud. * Applications which run on the IBM Power i platform may be known as IBM Power i, IBM i, iSeries or AS/400.